From June 14, the 2018 World Cup in Russia is in full swing, with numerous classic goals scored in numerous matches. 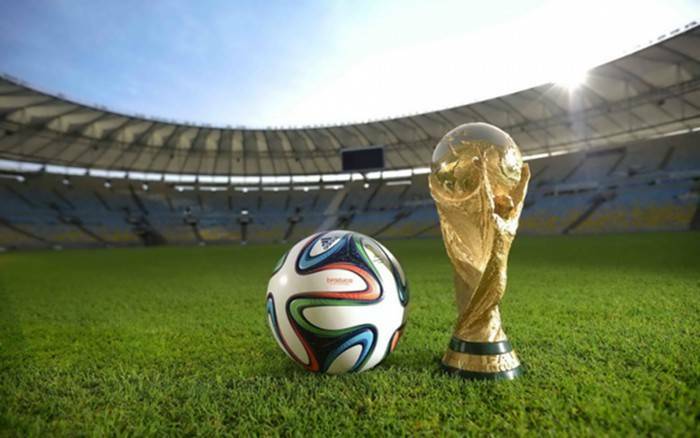 However, when it comes to the World Cup ball, it's hard to imagine how a ball can be sewn together. In fact, apart from being round all the time, football has always appeared in different shapes, rolling all the way to the 85-year history of the World Cup. The football in the early 1930s was made of leather, which was hand-sewn by skilled workers. For this reason, the ball is not a round ball at this time, and there are always some potholes on it. In the 1986 World Cup in Mexico, for the first time, FIFA has adopted a fully synthetic football as its outer layer. Thanks to technological advances, the designer has adopted a new method of leather stitching, which reduces the number of leather pieces of this special ball compared to the previous special ball. Previously, football has been hand-stitched by skilled workers, which makes the ball more cumbersome, and because the spacing between the pieces of leather is too large, the whole sphere is not round enough. At the 2006 World Cup in Germany, Adidas completely abandoned the hand-stitching method and adopted advanced thermal bonding to reduce the unevenness of the surface of the sphere due to the stitching of the leather. Laser-stitched football is a seamless thermally bonded football. The masterpiece has the samba glory of the World Cup in Brazil! Thermally bonded football has obvious advantages over manual and machine-stitched soccer: optimizing the spherical structure, completely maintaining the spherical shape in the kicking, which helps to increase the strength and precision; the novel patching technique eliminates the spherical irregularities and makes the sphere It is perfectly rounded and more precise. The thermal bonding technology makes the pieces seamlessly close together, giving the football a completely smooth and continuous spherical surface. However, this technology is still not very mature at present, and sometimes the blocks that are thermally bonded will crack or fall off. On August 3, 2005, British scientists successfully sewed a shirt using laser instead of needlework. This pioneering challenge poses new challenges to the traditional clothing industry. This innovative technology is a masterpiece of the Cambridge Institute of Welding Technology in the United Kingdom. Scientists first apply a layer of liquid that absorbs infrared light to the area where the shirt is to be stitched, and then stack the edges together so that the liquid is sandwiched between the two layers of clothing to be sewn. Then, the overlapping portion is irradiated with a low-energy infrared laser, and the chemical liquid is heated to slightly melt the material and weld the portion to be sewn. The use of this technology to weld the various types of clothing is very durable, even more than the military clothing, and is suitable for woolen clothing, breathable clothing and even the most popular elastic clothing. This technique is particularly useful when suturing waterproof clothing, because now the sewing of such clothing requires waterproofing of the interface, but with laser stitching, the interface has become dripping after completion. The scientists said that the technology will be further developed to apply lasers to the fully automatic garment business. China is a "manufacturing power" in the textile and garment industry. In order to break through the bottleneck of growth mode, in order to improve international competitiveness and increase profit margin, textile and garment enterprises must speed up the adjustment of industrial structure, increase investment in science and technology, improve garment production equipment, adopt new technology and new methods, and increase product added value and technology content. The application of laser technology in the textile and garment industry has pointed out the way for enterprises to improve production efficiency, increase product added value, change growth model, optimize production processes, adjust industrial structure, and transform from labor-intensive to technology-intensive. As an upstream industry in the apparel industry chain, laser technology is responsible for and plays an important role in promoting the progress of the industry. It is believed that it will play an increasingly important role in the adjustment of industrial structure in the future. At present, the application of laser in the textile industry has gradually entered the mature stage of development. With the rapid application of laser processing technology, the production requirements of laser machine have gradually increased. Since laser cutting machine and laser engraving machine have unparalleled advantages in processing efficiency, product quality, production cost and input-output ratio, it is foreseeable that in the near future, laser application technology will shine more dazzlingly in the textile and garment industry.